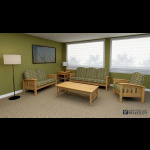 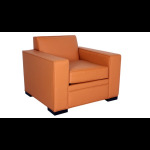 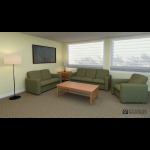 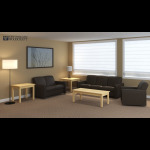 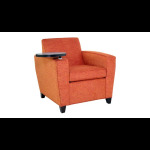 Description: The Huntington collection is an approved Army Corps of Engineers design featuring face frame construction. 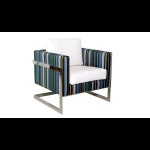 The series is available in both Solid Oak and Plywood Veneer panels. 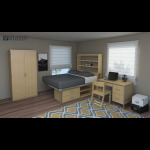 Description: With edges beveled smooth and gently arched drawer fronts, the Silver Lake Series features stained birch veneers giving your room a warm and welcoming feeling. 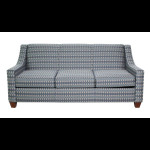 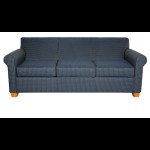 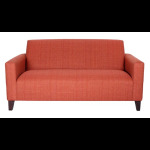 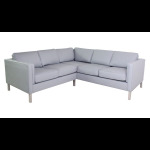 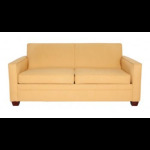 Description: With its straight lines, fully upholstered arms, seats and backs, the Shoreham Series has the classic lines of simplicity. 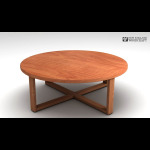 A set of tables to compliment this simple style is also available. 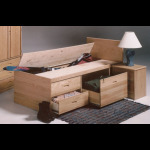 Description: The Davidson collection features half moon pulls routed in solid wood drawer fronts with arched cutouts in the front base and side panels. 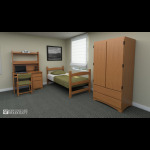 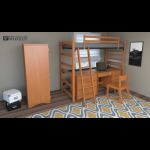 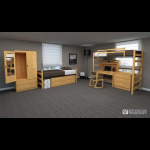 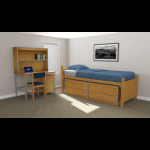 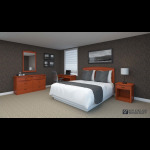 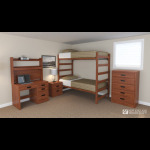 Description: The wood and metal combination of the Amherst series offers customers traditional residence hall furnishings with a contemporary flair.